Persiakkaran malayalam movie directed by Ashok R Nath to be shot simultaneously in two languages will be having a handful of fresh faces and and experienced hands in lead. Ashok R Nath who had already shown his mettle as director helming projects like Saphalam, December, Mizhikal Sakshi and Venshankhupol is gearing up to repeat wonders with 'Persiakkaran, a Dubai based movie. Ashok R Nath who had already shown his mettle as director helming projects like Saphalam, December, Mizhikal Sakshi and Venshankhupol is gearing up to repeat wonders with his new venture. 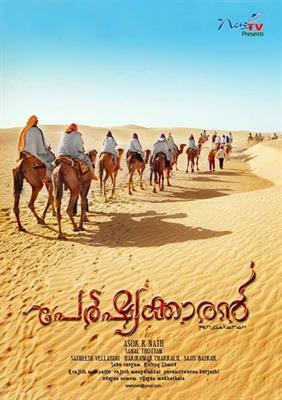 Titled 'Persiakkaran, this movie will focus on a Malayali who had spent his entire life in Gulf. The ups and downs that he had to face will be featured in the movie. Much interestingly, the movie will be simultaneously made in Tamil and Malayalam. Other than prominent actors from both Tamil and Malayalam film industry giving life to important characters, a handful of youngsters would be debuting with this movie. K K Moideen Koya, a well-known journalist and media personality in the UAE is donning an important role in the movie who would be playing the role of Ansari, a social worker. After lending his face for movies like Arabikadha, Diomond Necklace both shot in Gulf, Moideen Koya is getting busy along with projects like 'Santaclaus' and 'I am 21 years' in pipeline. He also had done important characters in '3 Dots', 'Musaffir' and '48 Hours'. Moideen who had debuted in movies showing his face in 'Gadhari' was blessed to work with Mohanlal in 'Red Wine'. Even though a number of movies had been made in malayalam which depicts the life of Malayalees in Gulf countries, 'Persiakkaran' would stand different for its style of making. Ashok R Nath, who landed in the industry working with K K Chandran in many documentaries and teleserials become an independent film maker with 'Saphalam' which was releases in 2003. His last outing was in 2011 with 'Venshankhupol' featuring Suresh Gopi and Jyothirmayi in lead. Sanal Thottam will be producing the movie with New TV presenting it before the audience. The pooja of the movie was already done at a glittering function attended by high-flying personalities. After the final arrangements completed, the movie will start rolling very soon.